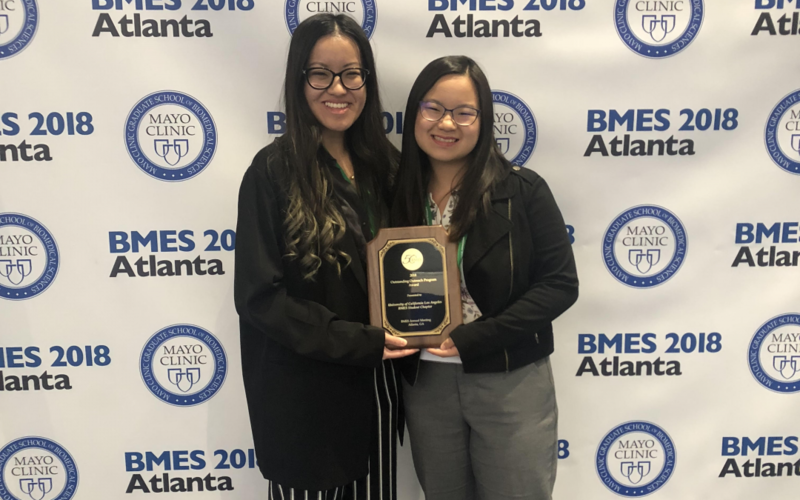 Eva Chen (’18), left, and Meagan Yuen (’19), right receive the National BMES Outstanding Outreach Program Award on behalf of the BMES at UCLA Community Outreach Committee. The Community Outreach Committee brings hands-on science to middle schools and high schools in the Los Angeles area through the Bioengineering Big Buddies program. Additionally, the annual Science Day brings 100 students from underprivileged Los Angeles elementary schools to campus for a science-filled day of fun.